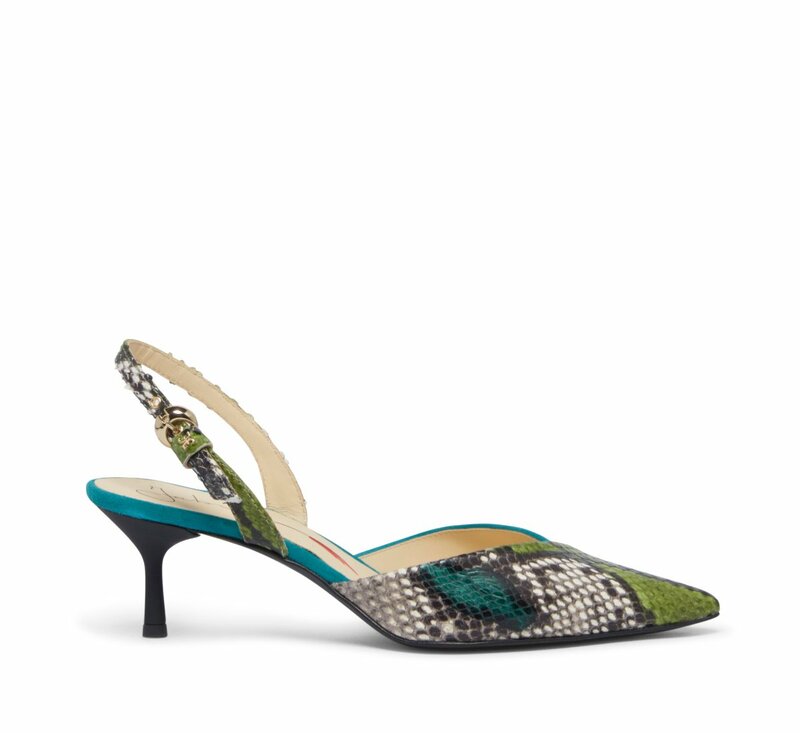 Slingbacks with tapering toe in suede and leather with reptile print. 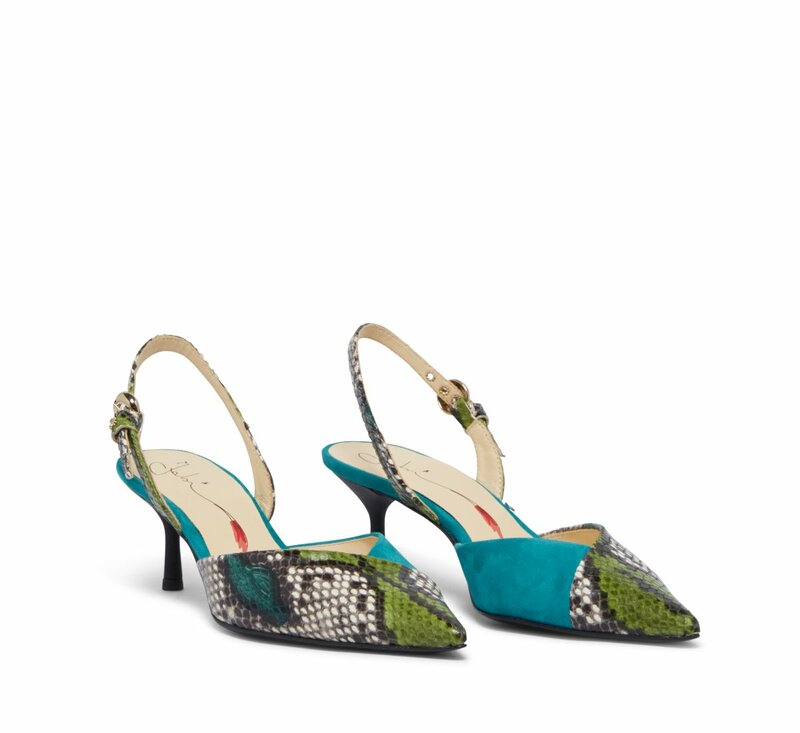 60 mm stiletto heel. Sole in leather.